Have you been recently diagnosed with an ailment that turned your world upside down? Have you been dealing with a sickness for which the doctors do not have any permanent cure? A “Touch of Faith” can heal you from your ailment and return your life to normalcy today, if you just believe on Jesus. Mark 5:25-34 told us of a woman who had been suffering many years from an issue of blood. She had spent all she had on many physicians. However, she grew rather worse. She heard that Jesus was in her town healing other people, and she decided she would go out to meet him. When she got there, the crowd was very thick, and she could not get very close to him. She thought to herself, “If I could just touch his clothes, I will be healed.” She did just that, and immediately the bleeding stopped. A “Touch of Faith” can give you peace and heal you from your ailment today. It’s not over until God says it’s over. God sees you struggling with something today, and wants to tell you that faith can move the biggest mountain in your life, if you just trust and believe in him. He’s still in the miracle making business, and he’s still in the healing business. “For with God nothing shall be impossible.” (Luke 1:37) Do not let your fear overcome your faith. 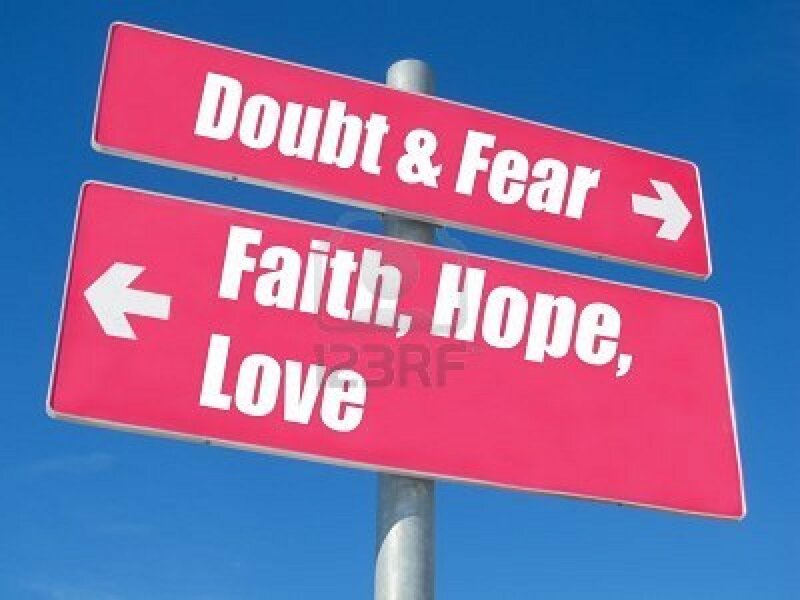 Chose which direction you want to go today. Your life depends on the direction you take.